A beautiful addition to any outdoor dining area or patio, the Edge Armchair with its Chalk synthetic wicker fibre and lightweight steel frame will add style, comfort and versatility to your outdoor furniture collection. The outdoor Ecolene® wicker weave is a relative newcomer to wicker furniture. 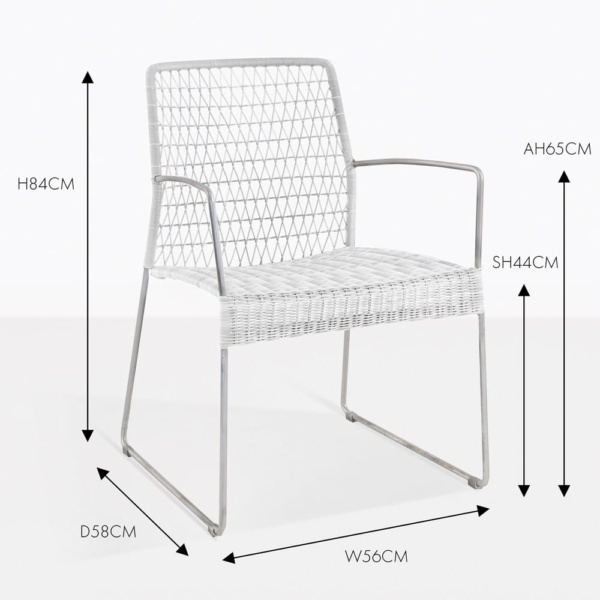 Over the past eight years it’s garnered a substantial following because of its high tensile strength, resistance to changing temperatures, UV protection and colourfast qualities. 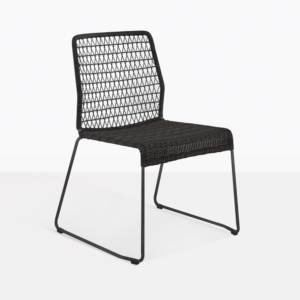 The textured surface of the wicker weave looks and feels like natural rattan. 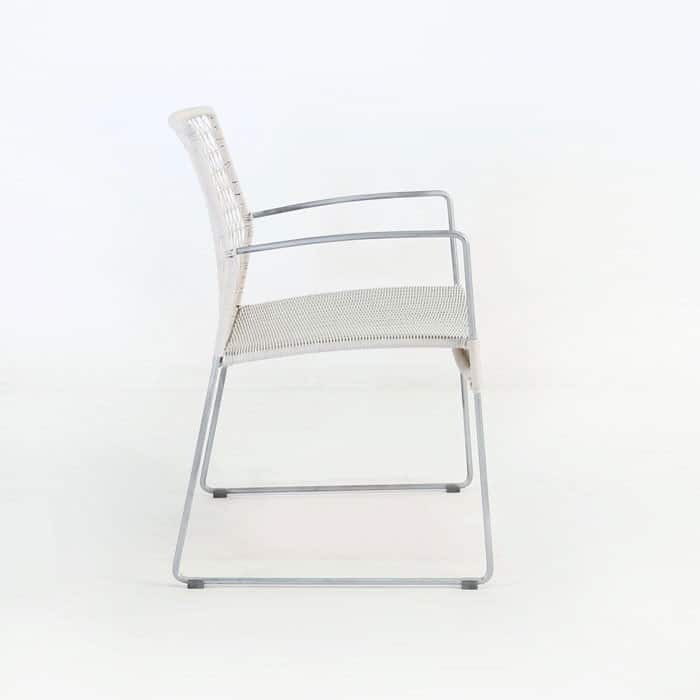 Woven over a thin, lightweight powder-coated steel frame and legs, the Edge Armchair retains it’s good looks because it does resist corrosion and the colour won’t fade or peel. 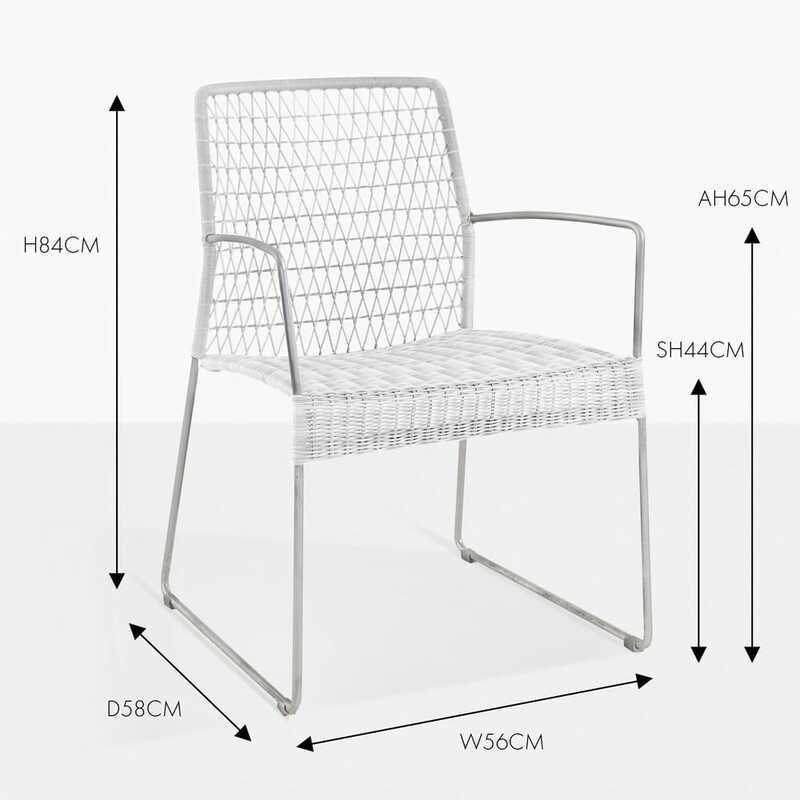 The frame is sturdy, maintaining its integrity, as you’d come to expect from outdoor furniture. 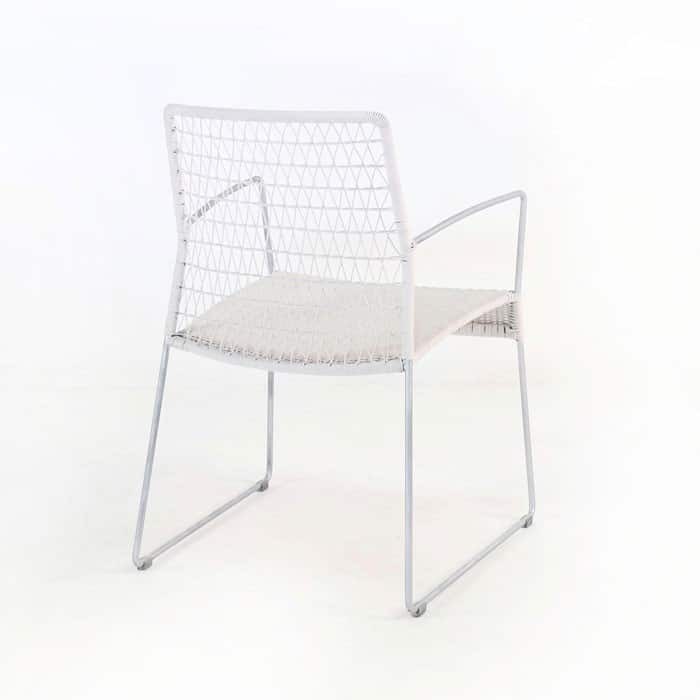 A Chalk coloured Edge Armchair will blend well with most outdoor living spaces and natural tones, including other types of outdoor furniture like teak, stainless steel or concrete, also available from Design Warehouse. 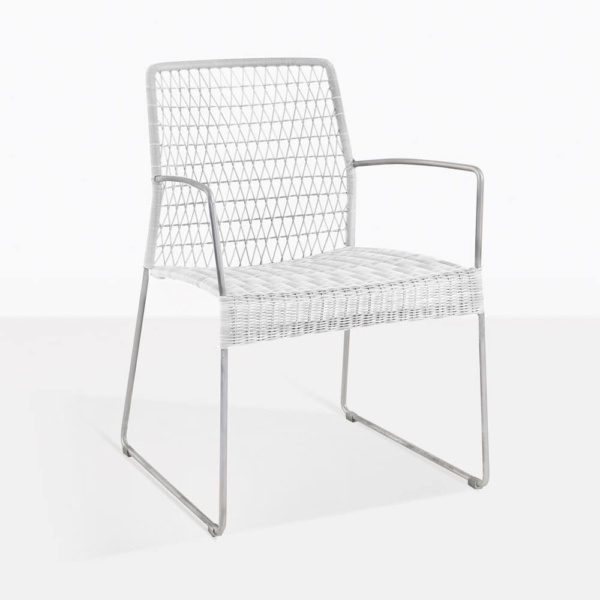 Not just ideal for dining, the Edge Armchair will be a good choice for relaxing on your patio as well. 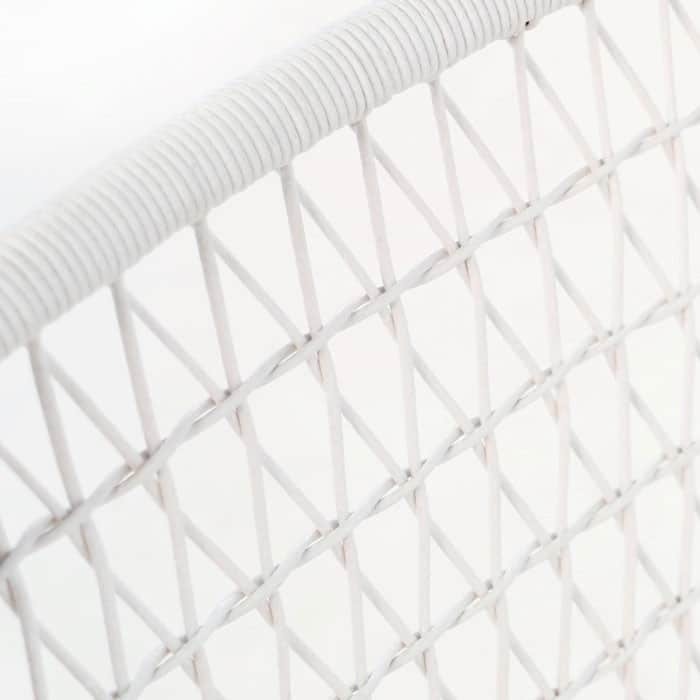 It’s loosely woven fibre on the back rest allows for the free flow of air, so you’ll be able to keep cool during the hot summer months.